A couple of readers have asked me about the small caricature that appears on the top right of my web site. 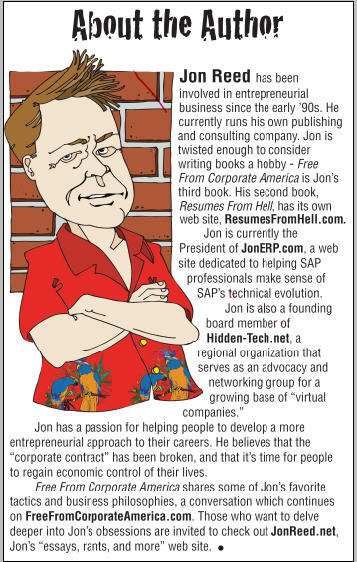 That pic is part of a bigger bio caricature that appears in my book, Free From Corporate America, which is now available on Amazon. The artist behind the caricature is the same, Rusty Johnson, who did the brilliant illustrations for my last book, Resumes from Hell. He also did a very funny caricature of me for that book also, in keeping with the book’s employment themes. If you’d like to see a better resolution version of this second illustration, check out the PDF version. 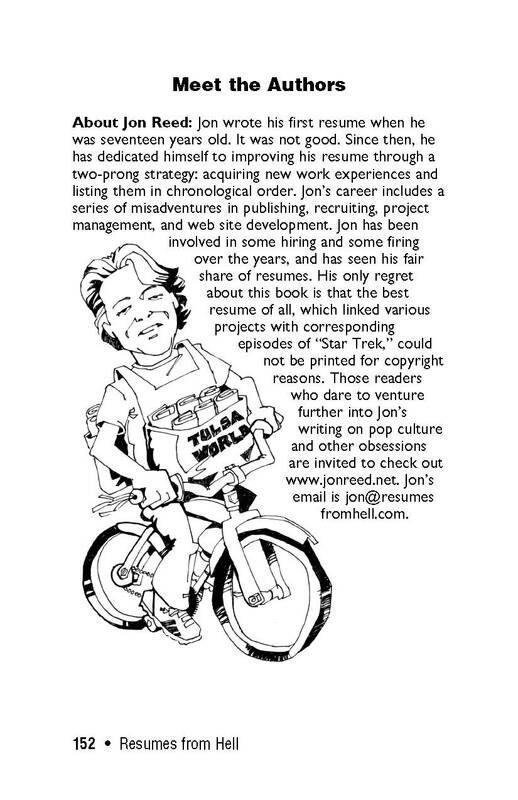 This entry was posted in Bonus Book Material, The Book by jonreed. Bookmark the permalink.